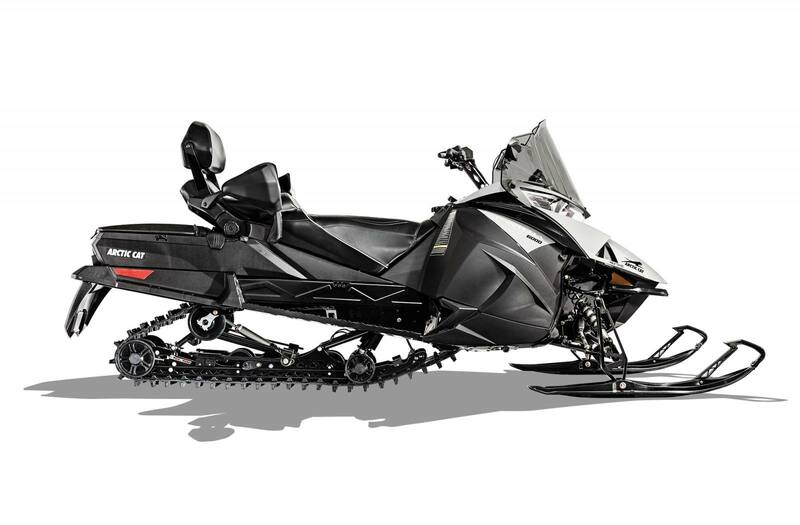 Arctic Drive System With Team Rapid Response Drive and Team Rapid Response Boss Driven Clutches: The Arctic Drive System™ features a lightweight magnesium chaincase. The new TEAM® Rapid Response II™ drive clutch features an auto-adjusting belt tension design that delivers consistent performance without manual adjustments. It also features a 12.5% lower effective starting ratio while maintaining the top ratio for smoother engagement and reduced belt wear at drive-away speed. 146-In. Cobra™ Track With 1.35-In. Lugs: The 146-in. Cobra track’s cupped lug design delivers superior handling, acceleration and braking in loose snow conditions. Its traction teeth add extra grip on hard-packed surfaces. The 1.35-in. paddles provide that extra traction needed when you find yourself blazing your own path. 15 in. (38.1 cm) x 146 in. (370.84 cm) x 1.35 in.